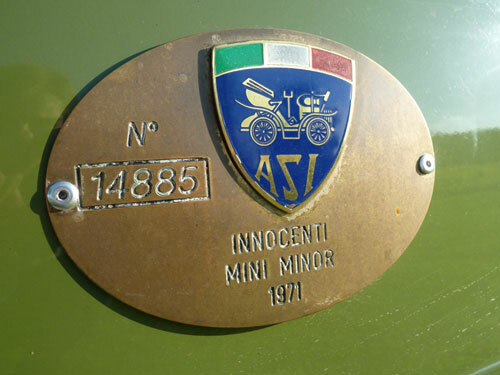 Browsing the Nerves Autos site I mentioned yesterday I found a couple of nice Innocenti items. 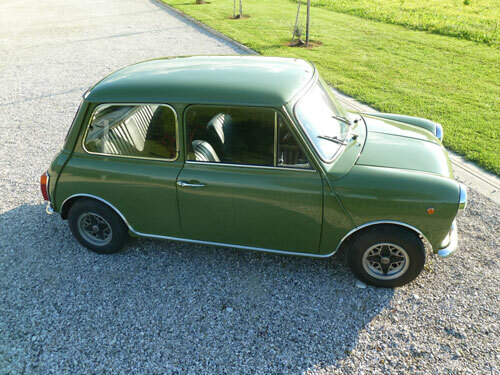 A 1971 Mk2 Mini, and an Innocenti Small. 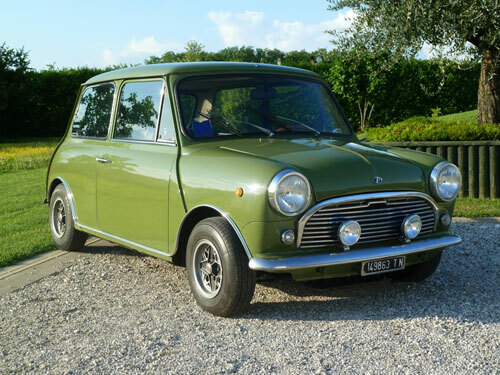 The mini is a lovely little car, resprayed in it’s original pea green colour, and restored to the high standards demanded by FIVA, and the ASI Targa Oro (Gold Plate) …only given to vehicles restored to original condition. 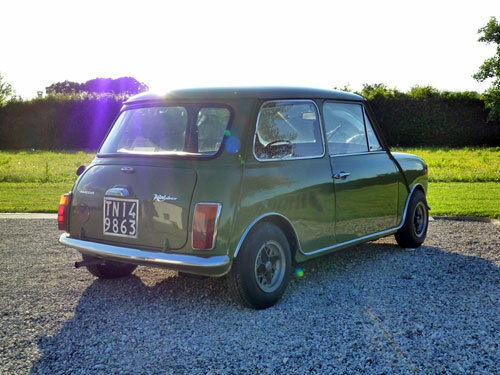 It’s in lovely condition throughout, I particularly like the original “Mille Miglia” wheels, and the small, Italian front number plate – I don’t know the rules of keeping this in the UK, but as a historic vehicle, your might be ok. I think it’s a bit of a bargain at €5.700. More here. 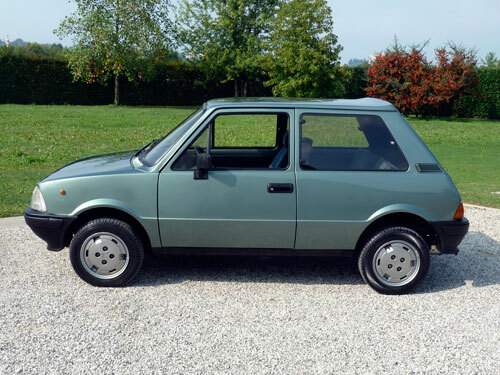 The other car an Innocenti Small – a 500cc dating from 1993. 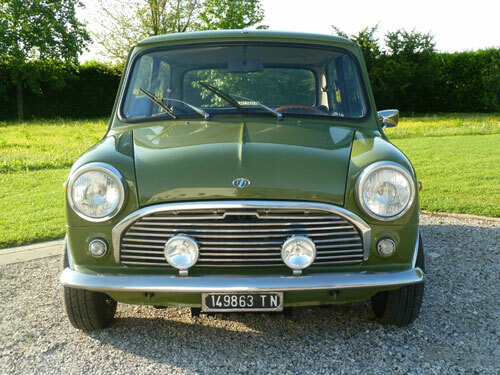 While not as immediately attractive as the Mini, it’s got a late 80’s/early 90’s appeal all of it’s own… a future classic, and an steal at €1.900. Maybe. Unfortunately sold, and rather more to my personal taste, is a rather nice 1960 Alfa Romeo Giulietta Spider, but there’s a lovely 1970 Giulia GT 1300 Junior Scalino still available. And you won’t find many small, sporty saloons prettier than that.